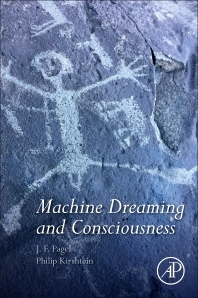 Machine Dreaming and Consciousness is the first book to discuss the questions raised by the advent of machine dreaming. Artificial intelligence (AI) systems meeting criteria of primary and self-reflexive consciousness are often utilized to extend the human interface, creating waking experiences that resemble the human dream. Surprisingly, AI systems also easily meet all human-based operational criteria for dreaming. These “dreams” are far different from anthropomorphic dreaming, including such processes as fuzzy logic, liquid illogic, and integration instability, all processes that may be necessary in both biologic and artificial systems to extend creative capacity. Today, multi-linear AI systems are being built to resemble the structural framework of the human central nervous system. The creation of the biologic framework of dreaming (emotions, associative memories, and visual imagery) is well within our technical capacity. AI dreams potentially portend the further development of consciousness in these systems. This focus on AI dreaming raises even larger questions. In many ways, dreaming defines our humanity. What is humanly special about the states of dreaming? And what are we losing when we limit our focus to its technical and biologic structure, and extend the capacity for dreaming into our artificial creations? Machine Dreaming and Consciousness provides thorough discussion of these issues for neuroscientists and other researchers investigating consciousness and cognition. JF Pagel has authored more than 170 publications. His basic research addressed the electrophysiology of consciousness, the neurochemistry of sleep and dream, and the role of REM sleep in learning and memory. His clinical work includes proofs for non-dreaming and the requirement of sleep for dream and nightmare, the diagnostic code for nightmare disorder, a definition protocol for dream, and demonstrations that REM sleep and dreaming are doubly dissociable. He has developed approaches to treating insomnia, sleep & altitude, narcolepsy, pediatric parasomnias, and waking somnolence, as well as addressing dream and nightmare use in trauma, art, creativity and filmmaking. He is co-editor of one of the major sleep-medicine texts: Primary Care Sleep Disorders (2007/ 2014). His books include: The Limits of Dream – A Scientific Exploration of the Mind /Brain Interface (2007), Dreaming and Nightmares (ed.) (2010), and Dream Science – Exploring the Forms of Consciousness (2014).